The Burroughs C3660 is a wonderful example of the extension of general four-function calculators to be programmable devices. With 'learn-mode' programming functions, it was possible to take a basic calculator and allow it to perform much more complex math operations. The addition of memory for keypress storage and a sequencer that allows keypress sequences to be stored and then played back at high speed was all it took to make a fairly powerful (for the time) calculator out of a basic 'four-banger'. The C3660 without its programmability is virtually the same as Sharp's Compet 363(CS-363), and in fact, the Sharp Compet 363 uses a Rockwell-made Large-Scale Integration (LSI) chipset that is very similar to the chipset used in the C3660. 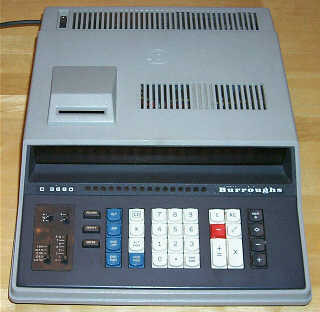 Sharp actually designed and manufactured the guts of the Burroughs C3660, under an OEM agreement with Burroughs. The Sharp Compet 363P is the Sharp version of the Burroughs C3660, with the only differences being cabinetry, subtle user-interface differences, and color schemes. Functionally, the Compet 363P and the Burroughs C3660 are identical. The C3660 is made up of a total of four circuit boards containing a total of 97 integrated circuit devices. 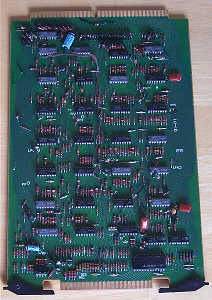 The main calculating brains of the machine are located on a fairly large board that contains six Rockwell-made Large-Scale Integration (LSI) IC's (10062, 10063, 10064, 10065, 10066, and 10328), along with the Nixie tube displays, and the driver circuitry for the Nixie tubes. The Nixies are multiplexed, and the decoding for the Nixies appears to be done by an unusual hybrid integrated circuit packaged in a fairly large epoxy casing. This device has a part number of 6029, with no manufacturer identification visible. 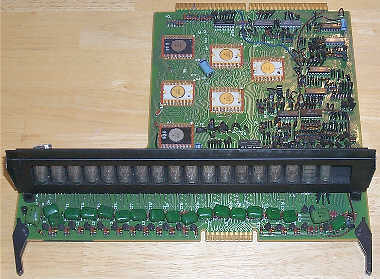 Another circuit board is related to keyboard scanning, along with simulating keypresses when programs are being executed. 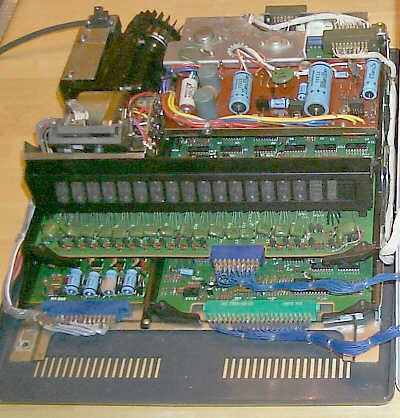 One board controls the magnetic card reader/writer, and lastly, there is a board that contains the sequencer logic for the programming functions. It isn't clear where the memory for storing program steps exists. There are no obvious memory devices to be found in the machine. It is an assumption that the program storage exists on one or more of the LSI chips. Aside from the LSI devices, the boards are heavily populated with NEC uPD1xx- and uPD3xx-series small-scale integrated circuits. These small-scale devices are based on PMOS technology. 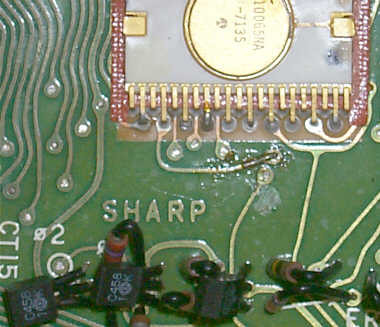 Note "SHARP" nomenclature on circuit board, even though this calculator has a Burroughs badge. All of the circuit boards have "NEC" and "SHARP" etched or silkscreened onto them. It is unclear what NEC's involvement was with the design (other than many of the small-scale chips were made by NEC), but there are a number of calculators designed, manufactured and sold by Sharp (and sold by OEM customers Burroughs and Facit) from this timeframe that have NEC marked on the circuit boards. The machine uses a 16-digit Nixie tube display, with each NEC CD-80 tube containing the digits zero through nine, a right-hand decimal point, and a 'tick' located to the left of each digit for indicating the location of 'commas' for easier reading of large numbers. The Nixie tubes are held in place by a metal frame with a rubber-like material that provides shock isolation and alignment for the tubes. To the right of the 16 Nixies, there are two special gas-discharge displays. The left-most tube of this group provides negative sign indication and error/overflow status for the calculator. The rightmost tube is in the form of a rather unusual segmented-type display (nine segments, arranged in the standard 7-segment form, with the two segments vertically through the center) digit that provides additional information relating to program instructions. The C3660, programming functions aside, provides the basic four math functions along with square root. 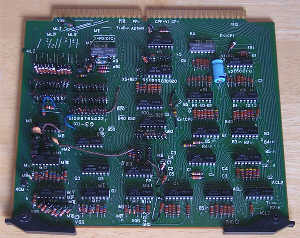 The calculator also boasts ten accumulator-style memory registers. There are four dark gray keys at the right-most side of the keyboard that control the memory registers. A given memory register can be recalled to the display, and the memory register cleared (with the [*] key), copied to the display (with the [&diamond;] key), the display subtracted from the memory register (with the [-] key), or the number in the display added to the memory register (with the [+] key). When performing a memory function, the memory function key is pressed, and is immediately followed by a single digit from zero through nine to indicate which memory register the operation is to be performed upon. A special keystroke sequence, [*] followed by [. ], clears all of the memory registers to zero. The other functions of the calculator are pretty straightforward. Addition and subtraction work adding machine-style, with the larger white [+=] key used for addition, and the smaller red [-] key for subtraction. Multiplication and division work as expected, with the [+=] key generating the answer. Chain multiplication and division are supported. One may note the √ symbol on the ÷ key. This follows Sharp's unusual method for providing the square root function, invoked by entering the number to have the square root extracted from, then pressing the [÷ √] key, followed immediately by the [+=] key, which will cause the square root calculation to occur with the answer appearing in the display. A push-on/push-off [K] key enables the constant function for multiplication and division when depressed. The [CD] key clears the display register, and the [RC] key recalls the last operand to the display, useful for swapping operands for division problems. The [CHG SGN] key toggles the sign of the number in the display. The C3660 can operate in fixed or floating decimal point modes, which are set by a couple of slide switches at the left of the keyboard panel. One two-position switch selects fixed (.) or floating (F) decimal mode for the computing unit of the calculator. Another eight-position switch selects the decimal point position when the calculator is operating in fixed point mode (with selections of 0, 1, 2, 3, 4, 6, 7 digits behind the decimal), and an unusual setting "≤15" which provides for floating point storage of items in the calculator's memories even when the computing unit decimal point is set to a fixed position. With these two switches, it is possible to have different settings of fixed point and floating point representations in the computing unit and memory unit of the calculator. Programs (but not memory register content) can be stored on credit card-sized magnetic cards for future use. The program memory of the calculator is volatile, meaning that when the power is removed the content of the memory is lost (unlike machines such as the Hewlett Packard 9100B that use magnetic core memory for program/data storage, which does not lose its content when power is removed). The volatility of the program memory in the C3660 is due to the solid state memory used to store the program steps, which requires continuous power to keep the memory alive. The magnetic card reader/writer allows programs to be written onto the card, and later re-loaded into program memory. The card reader is an assembly manufactured by Sankyo Seiki Mfg. Co., Ltd. (now known as Nidec Sankyo) in Japan. This device was made in a number of variants that were used by some calculator manufacturers for offline storage of programs (and sometimes, data) for advanced programmable calculators. Calculators from Sharp/Burroughs/Facit, Computer Design Corporation(Compucorp)/Monroe, and Rockwell used variations of this design in their higher-end programmable calculators. Sankyo Seiki also sold this magnetic card reader/writer design into applications as diverse as access control systems, numerical control machine tools, and electronic cash registers. The card reader accepts a 4" x 2" magnetic card that has two 'sides', designated A and B, for recording program steps. The term 'side' is really a misnomer, as the card is not flipped over, but rather, the 'side' amounts to one long edge of the card or the other. Each 'side' can hold 144 program steps, for a total of 288 program steps per card. Notches which may be cut out of each end of the card cause that 'side' of the card to be write-protected such that it can no longer be recorded on. Each magnetic card comes with a paper protective sleeve that holds the card and has areas on the outside to write information and instructions for use of the program contained on the card. Oddly, the magnetic cards are inserted into the reader with the magnetic surface facing upward. This is a little awkward, because the legends on the card identifying side A and B are not visible with the card inserted magnetic-side up. It also makes it more likely that the magnetic surface of the card can get dust or fingerprints on it, which can cause read errors, not to mention possibly soiling the read/write head. The magnetic cards have a writable surface on the front side with areas for recording the program number, date, title, and other information about the program on the card. The magnetic cards came in pacakges of 10 each (with sleeves) as Burroughs Part #70-1001-711. There are three keyboard buttons that control the magnetic card reader/writer, one for loading a program into memory designated [ENTER], one for storing a program onto a card [RECORD], and lastly, for comparing the content of a card with memory, for verification purposes, marked [VERIFY]. The card is placed in the slot on the top left-hand side of the calculator with the magnetic surface facing up, and the appropriate function key pressed to initiate the action. The card is drawn into the reader/writer, then pushed back out by a small motor as the operation is completed. 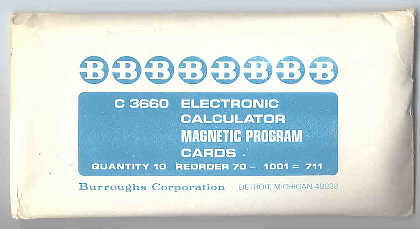 A special cleaning card was supplied with the calculator when new and were also available for purchase from Burroughs, as the cleaning cards were only good for around 50 cleaning cycles. The cleaning cards are quite rare today. The cleaning card has a special material on it that cleans the read/write head of the magnetic card reader when cycled through it. 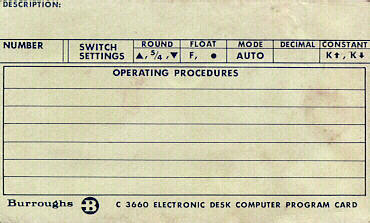 The cleaning operation involves placing the card in the reader/writer, then pressing the [RECORD] button. The cleaning card is drawn in, then pushed back out, the same as with a normal magnetic card. The special surface on the cleaning card gently buffs the surface of the read/write head, removing particles of dust, oxide, and other contaminants that can cause read/write errors. Burroughs recommended that the cleaning card be run through the magnetic card reader/writer three or four times to provide a thorough cleaning of the read/write head. They recommended cleaning the card reader/writer once every month, meaning that the cleaning card would generally last about a year before it should be replaced. The C3660 has five operating modes, desigated LRN, MAN, CHK, DBG, and AUTO. The operating mode is selected with a slide switch on the left side of the keyboard panel. "MAN" (Manual) mode is selected to use the machine as a normal calculator, with program execution disabled. "AUTO" mode changes the function of the [+=] key to act as the start key to cause program execution to begin (or continue). AUTO mode is the mode in which programs stored in the calculator's program memroy are executed. In "LRN" (Learn) mode, the calculator stores keypresses as program steps in program memory. As each key is pressed, a code representing the key is stored in program memory, and the program counter (which is displayed on the Nixie tube display) is incremented by one. "DBG" mode is used for debugging programs. Each time the [+=] key is pressed, one step of the program will be executed, with the display operating as if the program were being run. This way, programs can be stepped through their operations while observing the operations being performed to troubleshoot any possible programming errors. Lastly, there is "CHK" (Check) mode, which works similar to Debug mode, except program steps are not executed as the user steps through the program. Check mode is used to verify correct entry of the steps of a program. In Check mode, the special 9-segment display, and the front panel program step indicators show each step, and the usual Nixie display showing the program counter (e.g., the address of the step in program memory), with each press of the [+=] key sequentially advancing through the program. This mode is useful for verifying that a program entered through the keypad was entered correctly. As each keypress is loaded into memory, the appropriate indicator in this panel lights up to confirm the keypress. This panel of lights is also used for verification of program steps and debugging. The indicators for this panel are small 12V incandescent lamps, that have very tiny leads that are soldered directly to a narrow circuit board that connects the lamps through a socket that plugs into an edge connector on the display circuit board. It seems likely that repair technicians hated having to replace these lamps should one of them burn out, as it is rather a tedious operation to replace them. The machine has the capability of eight different conditional branches, and six unconditional branches within any given program. The calculator uses keypress tags to mark locations in programs for branching operations to transfer to. Branching functions are designated by the [JMP] (Jump) and [EJ] (End Jump) keys. The tags consist of the "JMP" or "EJ" instruction, followed by a single keypress that indicates the tag. The keys  through  and [HLT] are tags for conditional jumps, and the , , , [. ], [CHG SIGN], and [C] keys are the tags for unconditional jumps. When a branch is needed in a program, the [JMP] key is pressed, followed by the tag key identifying the type and destination of the branch. When executing a [JMP] instruction, the calculator searches through memory for an [EJ] instruction followed by the same tag key, and begins execution at that point. In the case of a conditional branch, the display is checked to see if it is zero, and if it is, the branch is taken to the EJ specified tag, else the tag key is skipped, and execution continues with the next step in sequence. While searching for the matching [EJ] for a given [JMP], if the end of memory is reached, searching rolls over to the beginning of memory, making backwards jumps possible. This method of branching is a primitive version of Label-type branching used in later programmable calculators by Hewlett Packard, Texas Instruments, Tektronix, and others. The [HLT] key stops program execution at the end of a program, or when data input by the operator is required. The machine has the capacity for two programs to be loaded into memory at once, with an [ALT PGM] key designating which program is to be executed. When the calculator is in "AUTO" mode, program execution begins when the [+=] key is pressed. If the [ALT PGM] key is pressed before starting a program with [+=], the machine searches through memory looking for two consecutive [END PGM] instructions, and sets up for program execution to begin after the last of the two [END PGM] instructions. This function is useful for programs which have inverse functions. For example, a program that calculates the sine of a given angle could have the [ALT PGM] set up to calculate the arc sine when invoked. 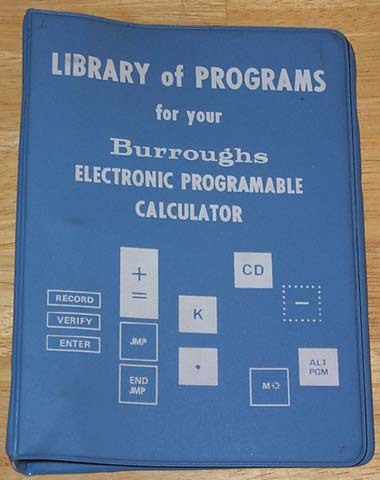 As an incentive to buyers, Burroughs offered a printed library of many different math, science, and business functions as a free bonus with purchase of a calculator. The user could enter these programs into the machine, then record them on magnetic cards for future use. Optionally, the entire library of programs could be purchased already recorded on magnetic cards. The program library includes programs to perform trigonometric functions, exponential and logarithmic functions, statistics, financial functions (e.g., payment/interest calculations and depreciation), and, peculiarly, a set of programs for "Ford Motor Credit Corporation" accounting functions. 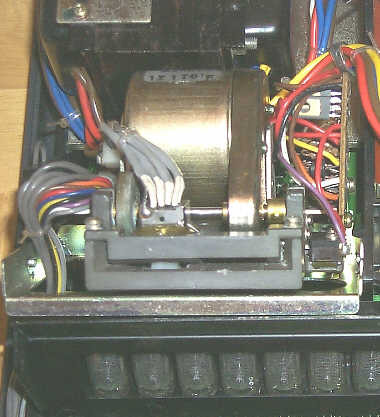 The exhibited Burroughs C3660 was built in the mid-1971 timeframe, based on date codes on the integrated circuits in the machine. The 3660 originally sold for $1,795 when it was introduced. An follow-on version of the 3660 was available, the model C3661, which was four times faster than the C3660, provided two additional memory registers, had double the amount of program storage space (288 steps), included subroutine capability, additional conditional branching instructions, and the ability to store the content of the memory registers onto magnetic cards. Sincere thanks to Mr. Tom Roughton for his generous donation of Burroughs C-3660 Serial #C-019906-101, along with a great quantity of additional related materials (magnetic cards, reference manual, program library information) to the Old Calculator Web Museum.